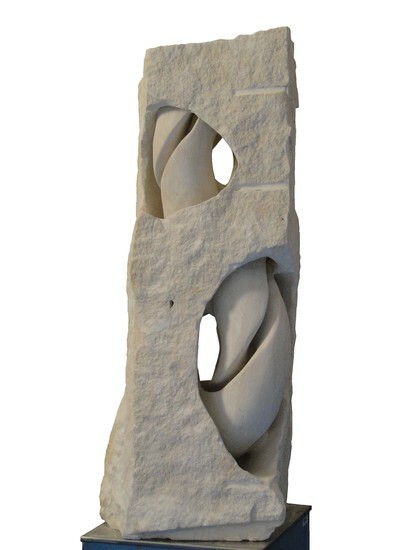 The Knot inside this SandStone sculpture is rather complicated. There are 2 rings. The bottom ring is split over 540 degrees forming a Trefoil, the top ring is split over 360 degrees forming 2 connected rings. One of the top rings is connected in the middle to the Trefoil forming a longer Trefoil Knot with a ring attached to it in the top. You can only see it when you walk around it and look inside.